In the past important Guelph fortification, today it is an exclusive location for fairy tale weddings. The most beautiful day of your life deserves a unique place, a special place. As the castle of Sorgnano. 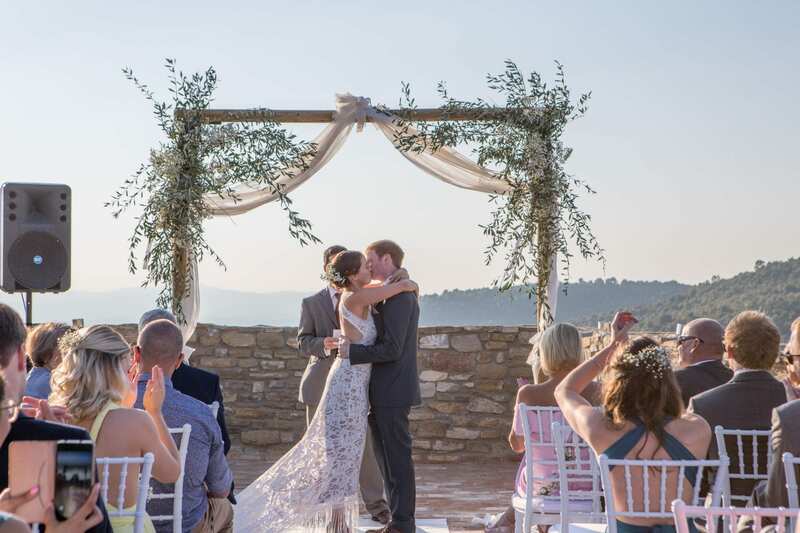 The salons are the perfect place to live the most significant moments of your wedding, but the marvelous terrace of the Castle, between sky and ground, dominates all the estate with a view as far as the eye on the Valley. it's the ideal place for buffet, happy hours or the Cutting of the Wedding Cake too. 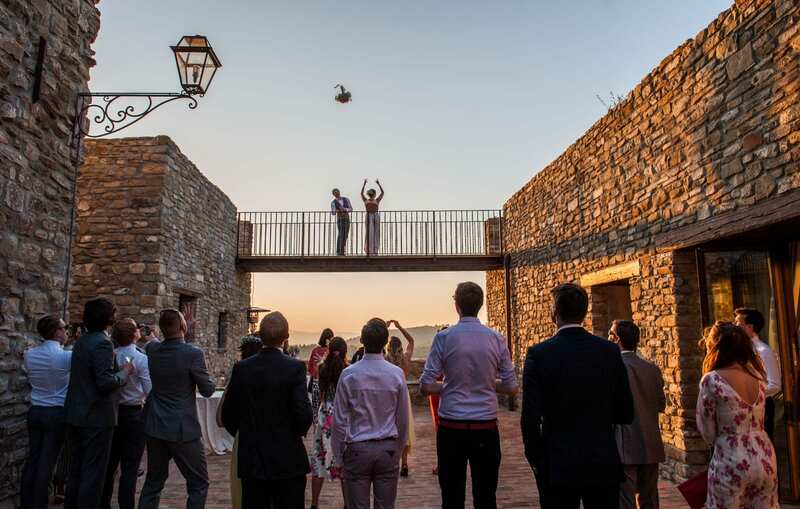 The inner courtyard of the Castle, surrounded by the ancient walls and enhanced by a breathtaking panorama is the most evocative, which mix nature and history in one frame; the castle gardens are a large space that is ideal for buffets, for the celebration of the rite and for the festivities. The wedding day is a collection of unforgettable emotions. Our staff will accompany the spouses with passion and professionalism, taking care of every single detail to make each wedding special. We can suggest you true professionals who will make your look perfect for the magic day you will remember for ever. This important aspect of your best day will be follow from true wedding professionals, who will be suggested by our staff. Qualified and selected people by ourselves, will take care of your children to keep them entertained with games, dancing and tricks. The Arrival of the bride is one of the most important moments and we will be here to suggest you the best suited solution to your needs. You can choose among different floral solutions according to your style or the theme of the wedding to customize it as you desire. Classic or jazz, disco or with piano bar, the music genre you will choose will be the soundtrack of your wedding.